Mearthane Products Corporation Acquires Creative Urethanes, Inc.
CRANSTON, R.I., October 25, 2018 – Mearthane Products Corporation announced today that it has completed the acquisition of Creative Urethanes Inc., a provider of Reaction Injection Molding (RIM) and other polyurethane manufacturing services based in Winchester, Virginia. 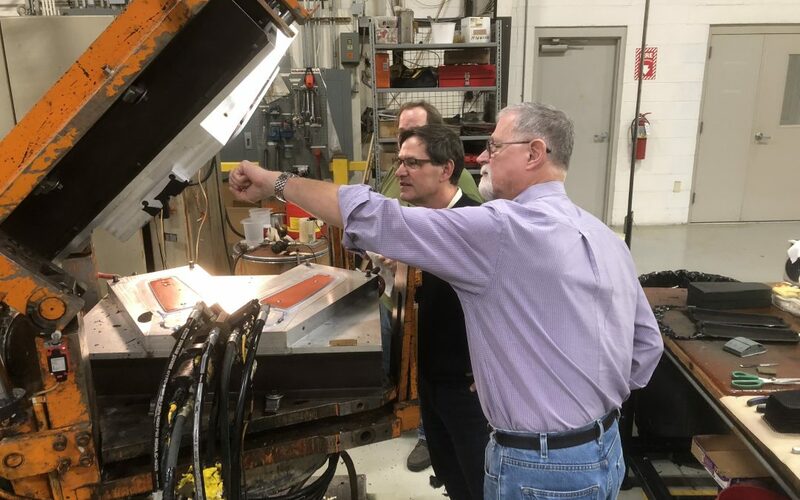 The acquisition of Creative Urethanes is MPC’s largest in the last 15 months, during which time the company acquired Elmco Tool Inc. and Rhode Island Water Jet LLC as part of its strategy to build a broad-based precision metal components business. Creative Urethanes has an exceptional workforce skilled in complex molding and manufacturing processes and brings over 150 years of combined experience in the polyurethane industry. They are particularly skilled at manufacturing elastomeric and foamed RIM products. “We are excited to be a part of the MPC family and are looking forward to the accelerated growth that this combination creates,” said John Tiedemann, Manufacturing Operations Manager at Creative Urethanes. Creative Urethane’s team and operations will remain in Winchester, Virginia and will receive additional support from MPC’s leadership team based in Rhode Island. Mearthane Products Corporation (MPC) (www.mearthane.com) is a global technology leader in the development and manufacture of advanced polyurethane components. Building on over 50 years of formulation and processing experience, MPC partners closely with customers to develop innovative solutions to their toughest challenges in office automation, defense, banking, postal systems and a wide variety of industrial and consumer applications worldwide. MPC’s products are made in the USA and shipped all over the world, leading to its award in 2017 as the Exporter of the Year for Rhode Island by the US Small Business Administration. MPC is proud to be a Veteran Owned Small Business (VOSB), and certified to ISO-9001:2015. Creative Urethanes Inc. (www.creativeurethanes.com) is a custom molder of polyurethane elastomers. Since 1970 Creative has been employing its casting and Reaction Injection Molding (RIM) technologies to manufacture rigid, flexible, solid or foam polyurethane components for diverse applications. Creative’s products are made at its facility in Winchester, Virginia.